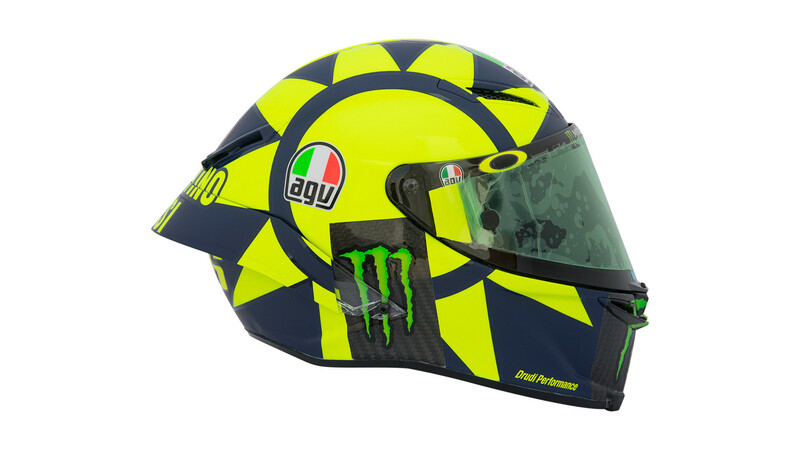 “Inspired by popular graphics from the 1970’s, the new Valentino Rossi helmet features the iconic Soleluna (Sun and Moon) graphic, used by Rossi since the beginning of his career,” said an AGV representative in an email to The Drive. The new Soleluna look is a bright, bold design with a big sun on one side and a crescent moon that follows the curvature of the helmet on the other side. 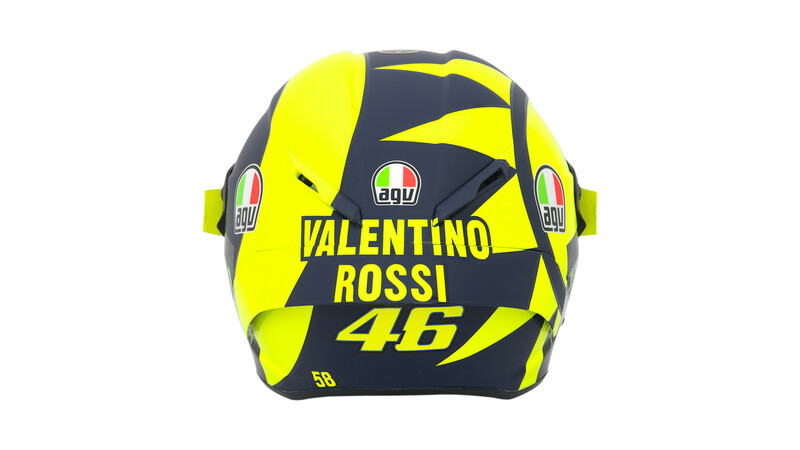 In case a racer is wondering who is in front of him, it has Valentino Rossi’s name and number on the back in the same bright, fluorescent yellow color as the sun and moon, contrasting with the matte blue base color of the helmet. 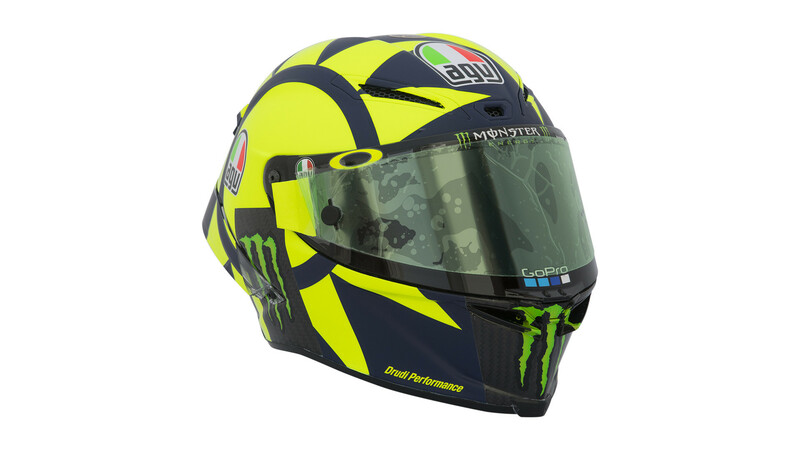 The design came from a collaboration between Rossi and helmet designer Aldo Drudi. The design is deliberately clean and simple, yet bold. 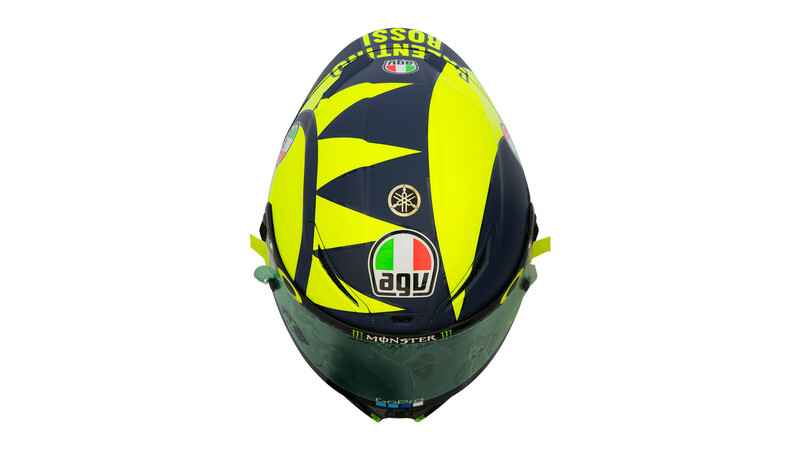 It’s a bit of a departure from the more wild and intricate designs we’ve seen on Rossi’s gear like the Mexican themed helmet he recently used in winter testing. 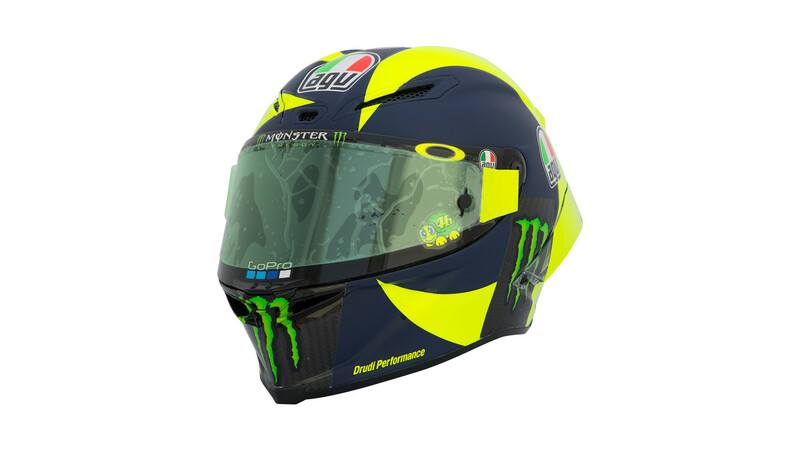 As for the helmet itself, it’s an AGV Pista GP R which is at the top of AGV’s sport helmet range designed for track use. It’s been carefully designed to maximize performance in impact protection, field of vision, compact design, lightweight aerodynamics, ventilation, and ergonomics. 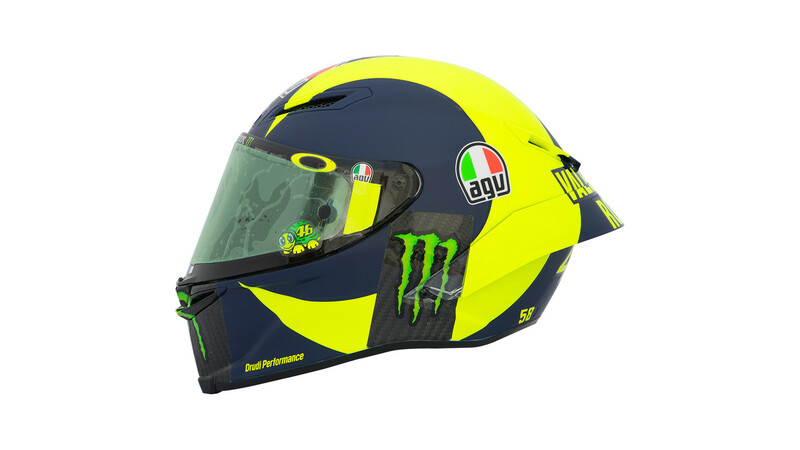 Look for the new Soleluna design on the track when the 2018 MotoGP season begins in Qatar on Sunday, March 18.